As California replaces its money-bail system with "risk assessments" to determine who is most likely to fail to appear for their court dates, Uptrust is expanding its tool that it says helps people stay in compliance. Uptrust, a 3-year-old startup that sends out court appearance reminders to prevent people from receiving failure-to-appear violations, is gaining ground in California — just as the state is revamping its bail system. The company has just launched in the public defender's office of Yolo County, home to Davis and West Sacramento, and will soon launch in San Bernardino County, one of the most populous counties in the nation. It’s notched a total of 11 customers, including the Virginia Indigent Defense Commission. While the startup’s goal is decarceration — keeping people out of jail — it has a practical pitch to the government offices it works with: Keeping people out of jail saves money. Some of the company’s customers put the cost of a failure-to-appear violation at about $1,000 per person, said Jacob Sills, Uptrust’s CEO and co-founder. It can result in a person going to jail for a nonviolent offense, which means that a prosecutor has to open up a new case and the county has to dedicate resources to the case. But there are often good reasons a person doesn’t show up for court, he said. So Uptrust is built as a two-way communications device — not only to send reminders, but also search for ways to resolve whatever is standing in the way of a person with a court date. So if the court has a day-care facility, the tool could give the defendant information about that. Or, a public defender could use the tool to help the defendant put together a transportation plan to get to the courthouse. Sills said that after the company launched in Contra Costa County in 2016, it saw appearance rates rise from the low-to-mid 80 percent range to up above 90 percent. He said part of Uptrust’s strategy is to make people more efficient, rather than replace the work they do. The tool is meant to open up a dialog and allow people to ask questions rather than just push scripted information one direction. “We already have these public defenders who care deeply, and we wanted to [help them] instead of just replacing a step,” Sills said. As Uptrust grows its presence in California, the state is in the midst of a battle over its pre-trial treatment of defendants. Gov. 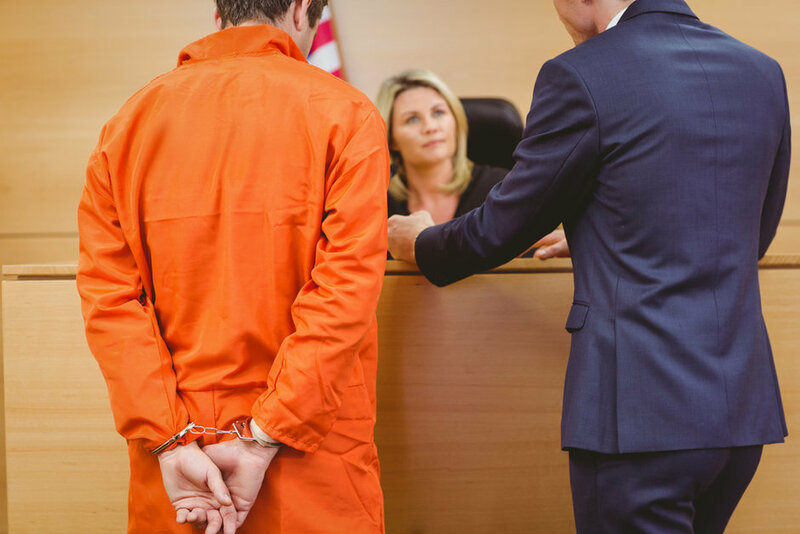 Jerry Brown recently signed SB 10 into law, abolishing the money-bail system and replacing it with pretrial risk assessment to determine whether an individual is likely to fail to appear for their court date. The law is facing opposition, with some groups pushing for voters to repeal it via ballot initiative. Sills has mixed feelings about the new law. On one hand, it will end one avenue of putting people into jail while they await trial. On the other hand, he thinks the judiciary could use risk assessment unfairly. “There’s not a lot of clarity around how risk assessments will be used, so I think there’s a gray area where a lot of people in certain affected communities are rightly concerned,” he said. That’s where what the company is doing strikes at the core of California’s conversation. Sills said he and his co-founder spent a lot of time talking to defendants, public defenders and others in the court system before launching their product, gathering reasons for what actually prevents people from appearing for court dates. And their tool, by nature, collects data on what helps people make their court dates. “The data we’re producing and creating around how … you help people’s attendance and their needs is really, really critical, so that the counties and the defenders can be a lot more comfortable releasing people pretrial,” Sills said. The company’s expansion has come without any venture capital backing. The company, whose clients are public defender's offices that serve a lot of low-income people, has been operating since 2015 with outside investment coming exclusively from foundations. To date, that has included the Draper Richards Kaplan Foundation, Robert F. Kennedy Human Rights and the Heising-Simons Foundation. Most of the funding has come in the form of grants.